What do Facebook founder Mark Zuckerberg and media maven Orpah Winfrey have in common? Well, probably more than a little, but what we’re looking at today is Zuckerberg’s newest venture: a book club. 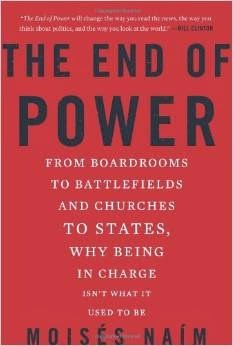 Since The End of Power was in Amazon’s number 86 position at time of writing, it would seem likely that Zuckerberg’s literary pronouncements might pack the same wallop Oprah’s did at the height of her powers in the 1990s.